"Top cat Arnie teases Philip because he is confined to a wheelchair. Yet when Arnie falls down the school steps and breaks a leg, twists a wrist, and sprains a tail, he begins to see life from a different perspective. Bullying is a serious problem for people with AS both at school and in the workplace, and displaying "different" behavior, such as not understanding social rules or hand-flapping, exacerbates the risk of being victimized. This book describes the bullying behavior individuals have xperienced, and the effect this has had on their lives, outlining the reasons for bullying behavior and the danger of persistent recurrence if it remains unchecked, as well as the critical importance of "involving the bystander". A range of effective strategies to address bullies and bullying that can be applied by parents, professionals, schools, and individuals being bullied is also explored. The importance of peer intervention, empathetic teachers, and verbal self-defense are stressed, as well as how a lack of support, condemning of "tale telling," or even blaming the victim reinforces bullying. This book offers individuals with AS who are being bullied the opportunity to see that they are not alone, and it is an invaluable source of advice for parents, teachers, professionals and personnel managers. Written for children, ages 6-12 who are victims to school bullies. Refers to "The Plan" - 11 specific, practical tips for discouraging and coping with bullies. Features humour and a 'normal' victim with whom most readers can identify. Describes the fears that victims have regarding the bully. Is there a particular type of person who becomes a bully? Why do bullies behave like they do? How can we interpret and understand bullying within relationships? The Bullies attempts to get inside the minds of the bully and victim - the child, the adolescent and the adult - across a wide range of 'closed' situations including the home, school and workplace, prisons and the armed services. By listening to the voices of bullies and victims from all kinds of backgrounds without making judgements, the author provides unique insights into bullying and what makes such domineering and aggressive behaviour so complex. He discusses controversial issues such as genetic predisposition towards abusive behaviour and draws on his counselling knowledge to provide insights on how to understand and treat bullies to change their behaviour. Bully B.E.A.N.S. is a fun story that teaches people of all ages to become proactive when it comes to bullying. This book can help children and adults understand why bullying happens and what they can do to stop it. Finally, a bullying book that speaks to the bystander! Use as a supplementary teacher's guide with the storybook, Bully B.E.A.N.S. Full of discussion questions and exercises to share with students. Worksheets and activities may be reproduced for a specific group or class. Lotty Raccoon is excited. This year she has a new teacher, new backpack, and new shoes--but her enthusiasm quickly wanes when Grant Grizzly begins bullying her. Offers practical advice to help children (aged 4 - 16) deal with bullies who tease, exclude, intimidate or harass. Provides parents and teachers with understandings and tested approaches to assist a child who is a target or a bully. Understand their feelings - Realise why they are being bullied or teased (or why they bully others) - Build their self-esteem - Become confident communicators - Create a 'power pack' of helpful skills, and Develop a support network. Bully Blocking, a fully revised edition of the highly successful Bullybusting, includes a chapter on what schools can do about bullying and a supplement to help teachers apply the book's practical exercises and activities in the classroom. Today's bullies and victims are far more complex than traditional labels of "thug" and "wimp" make them out to be. As a result, educators can't rely upon traditional methods to break the cycle of bullying. 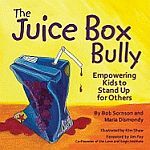 In response, this landmark new book challenges educators to work effectively with bullies as well as victims, and gives them the tools to do it. Part One of Bullying From Both Sides offers concrete information to help educators understand and recognize the range of students at risk for victimization and aggression. Part Two provides counselors, administrators, and teachers with a four-point intervention plan that covers: Surveying students to prevent school violence Safeguarding victims Determining when-and how- to contact parents Handling female bullying and cyberbullying Counseling for immediate and long-term support, and more! With an annotated resource list of recommended books and videos, this invaluable resource will inspire and equip educators to prevent next week's crisis today. Incorporates cognitive behavioral therapy (CBT) to help ease anxiety, fear, stress, and other emotions associated with being bullied. The workbook is made up of 42 step-by-step self-help activities designed to help you learn anti-bullying tips and strategies, manage emotions such as anxiety, fear, anger, and depression, and learn constructive communication skills to help you express your feelings. With this workbook as your guide, you will also learn how to identify toxic friendships, how to build your own self-confidence, and importantly, how to ask for help when bullying gets out of control. The exercises in this book are designed to be useful in everyday situations, so that you gain helpful tools to help you combat bullying or cyberbullying in your life. Bullying can happen to anyone, but there is hope to make a change and stand up for yourself, once and for all. If you are experiencing bullying, this book will offer sound psychological support to help you gain confidence in yourself and in your interactions with others. It is also a great resource for parents, educators, and counselling professionals. Chrysanthemum loves her name, until she starts going to school and the other children make fun of it. Nine-year-old Katie's punishment for bullying classmates includes making up for the hurt she has caused, and so she decides to write a book about bullying, why it is not okay, and how to start being a better friend. I'd die without my Blackberry one young persons comment sums up a generation of young people who are increasingly living their daily lives through their phones and the internet. Cyberbullying is rife, affecting one in five 1019 year olds. It causes anxiety, unhappiness and mental health problems; in extreme cases even leading to suicide. In this schoolwide program, older students undergo intensive training to enable them to become peer leaders of lively and informative small-group sessions for younger students. Through group participation, younger students learn important relationship skills and have the opportunity to share their concerns about communication, relational aggression, dating issues, cyberbullying, acceptance, and other challenges. Both older and younger students benefit by building cross-age connections, breaking up cliques, and fostering tolerance of individual differences. Part 1: Program Content and Implementation provides a thorough overview and discussion of program principles, offers guidance for organizing and getting started, and discusses program evaluation. Part 2: Peer Leader Selection and Training includes suggestions for peer leader selection and details procedures for 12 training modules, plus team-building activities to help prospective peer leaders develop group cohesion. Based on thought-provoking discussions, engaging games, strength-discovering exercises, and confidence-boosting fun, the hands-on activities in Friendship and Other Weapons build critical knowledge and friendship survival skills. The world of modern day girl bullying is multi faceted, complex and something every school, youth worker and parent wants to overcome. Girl Bullying takes a detailed look at these complexities, together with both proactive and reactive strategies for intervening, managing and teasing out the intricacies that are present when girls bully, and fall prey to those bullies. The aim is to help adults working with girls develop a toolbox of strategies and understanding that can help to provide bespoke approaches. Dealing with these issues takes time and patience, trust and knowledge of those involved and most of all it takes a willingness to appreciate the world around girls today. Written by an expert child psychologist, Girl Bullying aims to increase understanding of the fall out, psychological impact and support strategies for both victims and perpetrators of bullying. Bullying can have a detrimental effect on the academic attainment, self-esteem and day-to-day lives of all the individuals involved. Healthier coping strategies are life skills that help us all to function effectively not just in a school environment, but throughout later life. This is essential reading for anyone working with girls aged 5�16 who wants to facilitate proactive and pro-social skill foundations. Bullying among teens is epidemic. Many teens are harassed on a daily basis by mean text messages(cyber bullying), sexual harassment, teasing (verbal), hitting or punching (physical) and some are guilty of harassment without knowing they are perpetrators of illegal acts. Now teens will understand that bullying can have serious long-term consequences on self-esteem and be the root of antisocial behaviors, dropping out of school, health problems and even suicide. "Hey, Back Off!" by Withers and Hendrickson is the first comprehensive teen guide to harassment prevention. It uses narrative real life examples and stories that are relatable to teens, while incorporating strategies and coping tips for not only teens, but also parents and educators to help stem this growing epidemic that is affecting so many school children. This program helps targets of bullying behavior to appreciate and tap into their own inner-strengths. They will begin to value themselves and realize that everyone deserves respect. The self-confidence building techniques empower children to realize that they deserve to be treated with dignity. They learn how to avoid being the target of bullies. With the reading of each new episode, children emerge stronger and more confident as they accomplish each follow-up task. The activites are tools that enable students to withstand bully attacks no matter what form they take. They encourage kindness, empathy, and acceptance. Howard the bunny is being bullied at school by the Snorton twins. Even though his intuition tells him to tell the teacher about it, he chooses different strategies. Howard tries ignoring, avoiding, making jokes and getting back at the bullies. Nothing works and things get worse. He finally tells his teacher. She takes action and makes him feel okay and safe. This 32 page illustrated book was created in response to requests by teachers and comes with a lesson and resources to deal with bully issues. Have you ever seen a bully in action and done nothing about it? The kids at Pete's new school get involved, instead of being bystanders. When Pete begins to behave badly, his classmates teach him about "The Promise." Will Pete decide to shed his bullying habits and make "The Promise"? Kevin�s playtime is no fun anymore. Every time he goes to the playground, Sammy comes over and starts bullying him. With his dad�s help, Kevin overcomes his fear of the �King of the Playground�. Mookey the Monkey was born with no fur, and when he starts school, some of his classmates call him "Baldy." At the urging of the wise owl, Mookey visits his jungle friends, who offer helpful ideas for teasing and help him realize his own strengths. Annotation: Mookey the Monkey was born with no fur, and when he starts school, some of his classmates call him "Baldy." At the urging of the wise owl, Mookey visits his jungle friends, who offer helpful ideas for teasing and help him realize his own strengths. When Monica's friend Katie begins to call her names in front of other kids at school, she feels betrayed and isolated. But with help from her mother, Monica reclaims her confidence from a bully disguised as her friend. Includes helpful tips and discussion questions about relational aggression. Straightforward and simple, this story tells how one child found the courage to tell a teacher about Ray, who was being picked on and bullied by other kids in school. A picture story book that tells how Oliver made the transformation from Sissy to Star. Shows his perseverance in the face of bullying, good use of body language to express feelings. When the colors cannot get along, One shows all the colors how to stand up, stand together, and count. As budding young readers learn about numbers, counting, and primary and secondary colors, they also learn about accepting each other's differences. Today's youth are falling victim to the perils of social and mobile networking at an alarming rate. Textual harassment, cyberbullying, sexting, and online predators have become national epidemics. According to studies, about half of young people have experienced some form of online harassment. The Parent's Guide provides awareness, solutions, and preventative resources to keep your children safe and secure online. With defensive parenting and constant communication, you can teach your children about the potential dangers of social networking, empower them to protect themselves from online predators, guard their personal information, and preserve their online reputation. The Parent's Guide gives you the fundamentals of mobile messaging, Facebook, and other social media platforms; information you need about privacy and security settings; and measures to defend against cyberbullies. Knowledge is power! If you are aware of what's happening, you can get involved and facilitate change. Pearl Power is a children's book about equality, told in rhyme. A little girl called Pearl moves to a new school and makes friends while proving that being told she does things "like a girl" isn't a bad thing and that she can do anything the other kids can do even though she's small! When Blaine Kiffen moves to town, Willie's long-time friend Stewart becomes his target. Willie and his friends see Blaine's teasing go from harmless to cruel... But what can they do? This book is written for educators, parents and readers in grades 3-8. It helps kids see how bystanders can stop bullying. Learn to handle bullying like a B.O.S.S. (Bystanders hold the key; Open your mouth; Stand up for others; Stick together). Public and Permanent boldly addresses the very dark areas of the digital world and shows how all digital citizens can avoid becoming victims of any cybercrime. It offers a raw and uncensored glimpse into the digital black market and sheds light on the terrifying reality that digital citizens are often the victim of cyber crime because their friends, family and neighbors hand-deliver their private content to criminals. This eye-opening book provides an unprecedented approach that prevents all digital issues in a rapidly evolving digital world protecting you and your family from making life and legacy altering mistakes. Since its release in May 2004, this book has sparked incredible interest and has been turned into plays, distributed to hundreds of kids at conferences, read by principals on large screens, and rewritten by students in several schools (Do Something! is a favourite title). Most importantly, Say Something has helped start countless conversations among kids and adults about teasing. This new edition is updated with a new cover and an author's note. For all grade levels. This new edition is packed with practical guidelines and proven strategies for implementing a whole-school approach for reducing bullying. The author draws on theory and research, as well as over two decades of experience as a school counselor and consultant to provide educators with his creative ideas and successful techniques. Interventions to help aggressive youth internalize rules and develop conscience are paired with methods for helping targets of bullying. Chapters cover a wide range of topics, including myths about bullying, acknowledging positive behavior, effective discipline, working with parents, relational aggression, empowering bystanders, and preventing disability harassment. As a both a bully and a victim in childhood, and with 27 years experience working in secondary schools, Ian Findley approaches the subject of bullying from a unique and highly qualified perspective. Bullying is a reality for every school. It occurs in social groups as a part of a battle for power and social recognition. Shared Responsibility aims to resolve instances of bullying not by punishing bullies, but by asking them to share in the responsibility of finding a solution. By supporting victims and assessing the damage caused, this book addresses the impact of bullying and provides practical solutions for dealing with repeat offenders and challenging students. Collated over 12 years of research, a series of case studies are used to illustrate examples of successful outcomes and provide a model for implementing Shared Responsibility as a whole school approach. This method considers the needs of all students involved in bullying and attempts to change offending behaviour and attitudes by developing empathy and self-discipline in bullies. Tested and trialled in Australian schools, Shared Responsibility empowers schools, bullies and their victims to find constructive and ongoing resolutions to this challenging social phenomenon. Jack's friend Sam seems to know how to get away with just about anything. Adults always back down when you say you're sorry, but does an apology count if you don't really mean it? Who has the most power to stop and prevent bullying? Teachers? Parents? The Principal of the Universe? No, no, and no way! When it comes to changing bullying behaviour, nobody has more power than upstanders: all the people who see bullying or know its happening . . . and decide to do something about it. How strong are upstanders? Stronger than a snarling seventh grader. More powerful than a petty put-down. Able to delete Internet rumours with a single click. When BYstanders choose to act as UPstanders, they are real super heroes! With full-colour cartoons and humorous, kid-friendly text, Stand Up to Bullying! teaches kids how to safely take a stand against bullying, support kids who are targeted, and spread the word that bullying is not cool: its cruel. The power to end bullying starts with one person: you. Explore the dynamics in relationships among children of preschool through early school age, and encourage kids to understand personal and social problems as a first step toward solving them. Written by an experienced psychotherapist and counselor, these books promote positive interaction among children, parents, and teachers. The language in each book is simple and direct -- easy for younger children to understand. Full-color illustrations on every page. Helps kids accept the normal fears and worries that accompany bullying, and suggests ways to resolve this upsetting experience. When "One of a Kind" is laughed at by Purple One and called a name by Green One, is the Tease Monster to blame? This tale teaches readers the difference between friendly teasing and mean teasing, and why some teasing can have a negative bite if it's meant to be hurtful and cause embarrassment. Teen aggression and bullying is a problem that continues to grow, often disrupting our school, families, workplaces and communities. The causes of teen aggression and bullying vary from person to person and may include such factors as a teen having been exposed to physical or sexual abuse growing up; violent behavior witnessed in the home or neighborhood; violence in the media; socio-economic issues such as family poverty, need deprivation, unstable family environment, lack of family support and appropriate role models, and exposure to weapons. Teen aggression can take many forms. The Teen Aggression & Bullying Workbook is designed to help teens engage in self-reflection, examine their thoughts and feelings that lead to feelings of aggression, and learn effective tools and techniques for effectively managing these feelings. This book it combines two powerful psychological tools for the management of aggressive thoughts, feelings, and behaviors: self-assessment and journaling. This book deals with the damaging consequences of talking to others about someone else's troubles in order to establish connection and gain attention. This storybook includes resources for kids, parents, and teachers.